Using an adult-sized tub to bath your baby comes with many challenges. Firstly, you need to use extra effort to support your baby. Secondly, since you will use one hand for support, you may not clean the baby well. Thirdly, the infant or toddler will keep slipping and may swallow water, soap or even injure self. Fourthly, you may waste not only time but water as well. The best solution to such problems is using a baby bath seat. 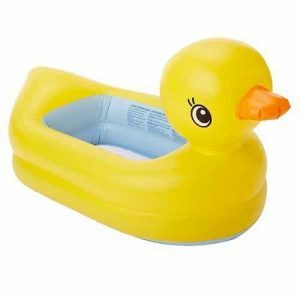 It’s designed to fit inside an adult-size bathtub and will remain firm during use. Some can be folded into smaller sizes for easy storage while others can be expanded to accommodate a growing baby. 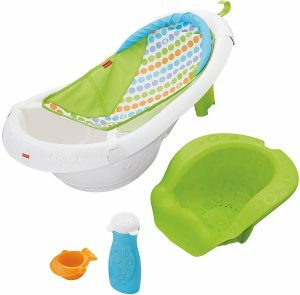 In this top 10 best baby bath seats review, we will look the top products in 2019. Support: A good item offers good support to the baby and is also ergonomic to the user. This reduces the effort and time used as well as the inconvenience. Non-slip and non-skid: The right seat comes in a non-slip nature and will remain firmly fixed on the same spot. This prevents the seat together with the baby from sliding off. 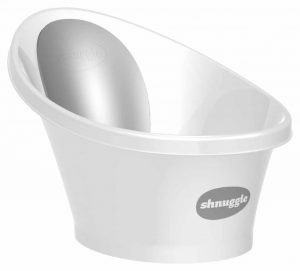 Sturdy: It’s made from quality materials that can resist the water, soap, shampoo and regular use. Plastic seems to be the common material of choice. Comfortable: The best accessory has good ergonomics and ensures both the baby and user are comfortable. This is achieved by using quality materials, decent dimensions, and friendly design. Adjustable: to accommodate a growing baby, good bath seats can easily be increased in size. This saves the user from having to buy a different item as the baby grows. Hygienic: It’s important to choose products that are resistant to mold, mildew, and corrosion. They need to be free from toxic substances such as BPA, lead, Phthalates, PFOA and more. Dimension: You should select a product that is neither too small nor too large for your baby. The better alternative is going for convertible types. Bath your baby like a princess in this elegant pink bath set. This inflatable piece is made from high-quality plastic and doesn’t contain any BPA, Phthalate, PVC, lead or any harmful substances. In addition to keeping you and your baby safe, this accessory is also environmental friendly. It measures 30.5 x 20.5 x 7 inches and can accommodate infants as well as toddlers. The 2-pound bath seat comes with a supportive back piece, two convenient pockets, and a hook for hanging. It scores well in terms of weight, size, ergonomics, and simplicity. The only setback is that it isn’t adjustable. 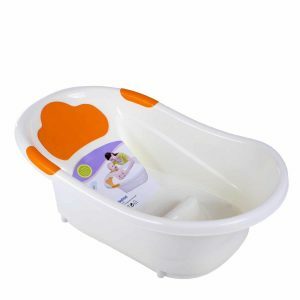 Made from quality plastic, this orange bathtub is safe for you as well as your baby. It doesn’t contain harmful compounds such as lead, ABS, BPA, lead and metals and can last for a long time. It measures 37 x 19.3 x 9 inches and is designed for infants of up to 12 months. The 2-pound item is recommended for weight not exceeding 25 pounds and comes with a reclining and comfortable backrest. The accessory boasts of a non slip top, easy-clean surface, and nonskid base. Consumers opt for this product because it’s very comfortable, ergonomically-designed, easy to use, and firmly stays in the same spot. Cleaning, storing and carrying are also easy and convenient. This infant bathtub is however not suited for older babies. Designed for infants aged from 6 to 24 months, this orange-colored bathtub will easily and conveniently fit inside adult-size bathtubs. The 37 x 19.3 x 9-inch accessory weighs 2 pounds and is recommended for weights of up to 25 pounds. 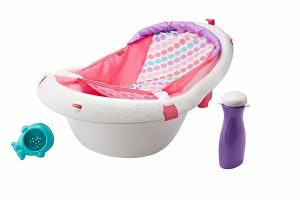 It features a nonskid base for firmly securing the baby and preventing skidding while the drain plug simplifies water removal. For extra comfort and durability, this bathtub is made from quality and safe polypropylene material. Dads and moms love its simple but stylish design, easy cleaning, comfort, and portability. Some, however, say it’s not very large. 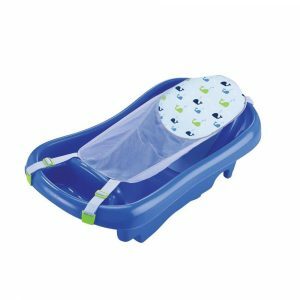 With this blue-colored baby bathtub, you won’t need to buy many items as the baby grows. It comes in a three-stage design that enables you to increase its size to keep up with the growing baby. The 3-pound accessory is suitable for newborns, infants, and toddlers aged from 0 to 6 months and can support weight up to 25 pounds. It measures 27.5 x 19 x 11.6 inches, is made from safe polypropylene material and comes with an ergonomic mesh for supporting the baby. Parents love its non-slip nature, versatility, comfort and ergonomic design. Nonetheless, adjusting it may be a challenge initially. It’s no surprise that this blue bathtub features on our review. Having won an award back in 2014 for being the best, this stylish and ergonomic item still draw a large following. Many users love its ergonomic design that guarantees the baby and user of comfort and safety, others like the good dimensions of 29 x 15.2 x 9 inches, while there are those who love the good support offered by the padded headrest and mesh sling. This 2.4-pound accessory is fit for babies, infants, and toddlers and is resistant to mildew, mold. It’s also dry-able, machine-washable, and has a color-changing drain plug for alerting the user of the water temperature. This pink scooper-duper whale tub is what you need to conveniently bath your baby in the adult tub. It comes in a 4-stage design and will easily adjust to match different weights and heights of a growing baby. It’s made from safe material and won’t have any side effects on you, your baby or the environment. The accessory is light, weighing 14.4 ounces, and compact measures 17.8 x 30.5 x 8.8 inches. To prevent the baby from sliding or slipping, the bathtub features a baby stopper while the soft mesh sling boasts support for newborns. Good quality, easy to adjust, nonslip and elegance are the reasons it’s on this review. Other than just bathing, this multicolored sling and seat will improve the bonding between you and your baby. The unit measures 5.9 pounds and is made from high quality and safe plastic. It measures 18.5 x 30 x 8.5 inches and comes in a 4-Stage design that allows you to convert it to suit the baby’s weight or size. The included soft mesh offers better support for newborns, while the Baby Stopper insert stops your baby from sliding or slipping. It also comes with a convenient hanging hook and easy-clean drain. Its positives include good space, nonslip, convertible, comfortable and easy to clean. The negative is that it isn’t very wide. Bathing a newborn and babies aged up to 12 months is easier and safer with this white/grey baby bath seat. Measuring 23.6 x 15 x 10.2 inches, this portable piece can fit inside the bathtub or even the kitchen sink. It will stay intact despite the water and soap/ shampoo courtesy of the nonslip base. The lightweight bathtub measures 2.7 pounds and comes with an ergonomic seat that ensures your baby or infant remains comfortable throughout the bathing exercise. Beautiful design, lightweight, gripple nonslip feet are some reasons why it is a perfect choice. Unfortunately, it’s not suitable for babies aged above 1 year. 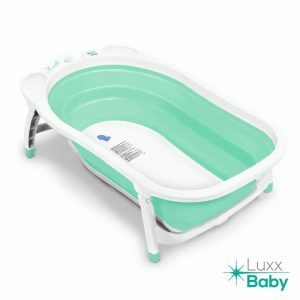 The Karibu Luxx baby bathtub comes in as an easy-fold design that makes storage and carrying easy. It’s made from quality and hygienic polypropylene material and doesn’t contain harmful compounds such as BPA, lead, latex, Phthalates, or ABS. The light green bathtub measures 32 x 18.5 x 2.5 inches and can fit inside bathtubs as well as large kitchen sinks. The soft rubber material together with good design prevents slipping while the heat-sensitive drain keeps a check on the water temperature. Also included in the pack is a nonslip mat. Consumers love its stability, easy-fold design, easy storage, portability and light weight of 4 pounds. 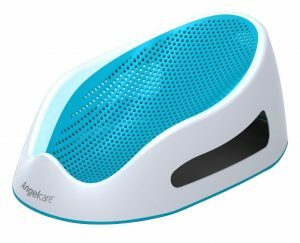 This Aqua bath support by Angelcare will simplify the baby bathing experience. Firstly, it comes in a baby-friendly and ergonomic design and you will use little effort to support the bay. Secondly, it measures 23 x 13.2 x 8.9 inches and can accommodate most infants and babies and fit in a bathtub or kitchen sink. Thirdly, it’s made from quality and hygienic plastic that is not only resistant to mildew and mold but also doesn’t contain metals, ABS, BPA, Phthalates, and other toxins. Fourthly, it only weighs 1.6 pounds and is easy to carry and store. Its main advantages include soft-touch surface, ergonomic design, hygienic and mildew-resistant. Unfortunately, it’s not very ideal for heavy or large babies. Bathing your baby, infant or toddler in an adult-sized bathtub should not be a challenge or an inconvenience. You also don’t need to use products that you know little about. What you and your “bundle of joy” need is a well-made, decent, and reliable bath seat that will make the bathing experience not only fun and convenient but safe as well. 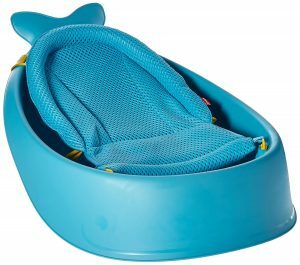 After comparing the available products on offer, our conclusion was that the above items are the top 10 best baby bath seats in 2019. They come in handy designs, are well-made, easy to use, non-slip, comfortable, convenient and durable. They are also resistant to mold and mildew, maintain their integrity for longer, and come in baby-friendly and user-friendly designs.